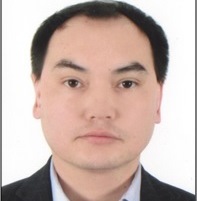 Kadyrzhanuly K. graduated Karaganda State Medical Academy in 2000 with major in Biophysics and Electrophysiology. In 2006 Kadyrzhanuly K was accepted at Emory University, Rollins School of Public Health ( (Fellow of US Department of State Edmund S. Muskie Graduate Fellowship Program), in 2008 he graduated Emory University with Master of Public Health degree. In 2009 he joined “Black&Veatch Special Projects Corporation” to participate as an analyst/software trainer in the international public health and IT project (Implementation of EIDSS – E-Health program for strengthening disease surveillance in Kazakhstan) with distributed multicultural and cross – disciplinary team of professionals providing medical and information technology solutions. Kadyrzhanuly K. joined Nazarbayev University School of Medicine as an instructor in 2017.